A wonderful opportunity has arisen to purchase this lovely two bedroom dwellinghouse complete with two additional cottages which are currently being run as self catering holiday accommodation business. 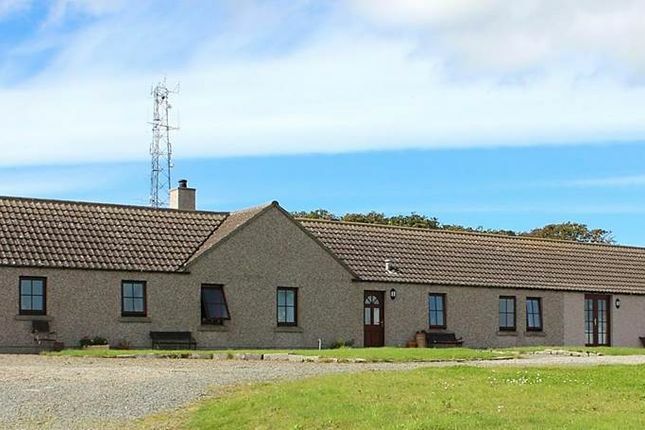 Enjoying a stunning rural location and commanding spectacular views over Scapa Flow and the Hoy Hills, approximately ¾ mile from the picturesque town of Stromness with all local amenities. Say goodbye to traffic jams, the long and expensive commute, overcrowded cities and towns and that hectic pace of life. Come to Orkney instead and enjoy a quality lifestyle in a stunning island location. Lying off the North East coast of Scotland and benefiting from a temperate climate as the Gulf Stream passes close by, the fertile islands are proving a destination of choice for families who want to live, work and prosper. Crime rates are low, jobs are plentiful, educational standards are high, with Orkney's schools regularly featuring amongst the best in the country. Orkney's culture, heritage, archaeology and wildlife are world famous and its leisure and community health facilities are second to none. Best of all property prices are surprisingly affordable and you get so much more for your money when you look at the spacious homes and gardens that you can enjoy in these beautiful islands. Property descriptions and related information displayed on this page, with the exclusion of Running Costs data, are marketing materials provided by Orkney Property Centre, and do not constitute property particulars. Please contact Orkney Property Centre for full details and further information. The Running Costs data displayed on this page are provided by PrimeLocation to give an indication of potential running costs based on various data sources. PrimeLocation does not warrant or accept any responsibility for the accuracy or completeness of the property descriptions, related information or Running Costs data provided here.